After stepping in at the last minute at the start of the previous season when a deal with Emirates Airlines collapsed, Eddie Thompson's convenience store chain Morning Noon & Night struck a two year deal with United worth over £600,000, becoming the largest shirt sponsorship deal in the Club's history at that point. The company were now a national chain with over 50 stores throughout Scotland, and the Chairman was soon to sell the company to Scotmid for a reported £30 million. By 2004, Wishaw based sportswear manufacturer TFG Sports had become quite popular as a football kit supplier, not just in Scotland, but also throughout England, after they had bought over English based company Super League, and had now supplied over 24 British clubs over the past four years. 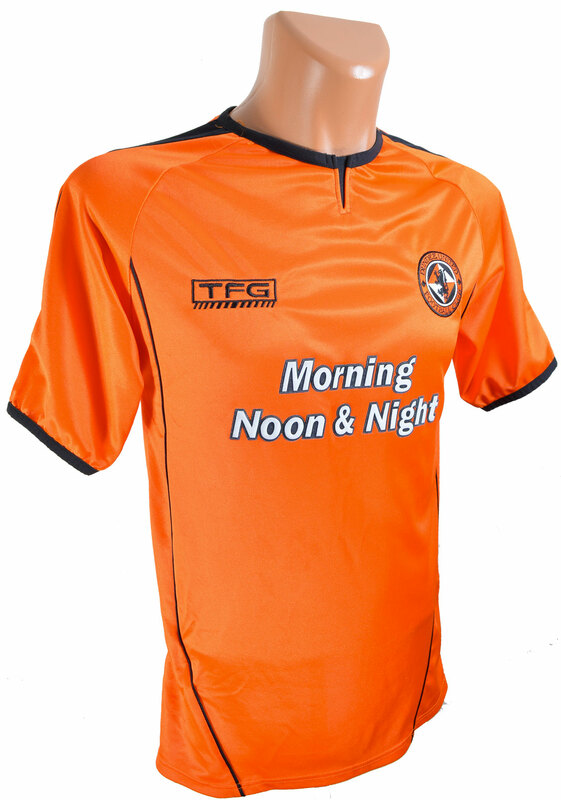 Having supplied United with kits since 2000, TFG Sports renewed their contract with United for a further two seasons, with the Home kit being kept on for both terms, with both the Home and Away strips being selected in association with representatives of both the Federation of Dundee United Supporters Clubs and ArabTRUST. The tangerine Home shirt had a thin black stripe on the shoulder that tapered from the collar to the sleeve, and the round thin black collar also had a small black tapered insert. The cuffs had the same thin black trim as the collar, and there was also a thin black line down either side of the front panel. The striking Morning Noon & Night logo remained, as did the TFG emblem and the Club badge. The Home kit was first worn competitively on the opening match of the 2004/05 season, in a 1-1 draw with Dunfermline at East End Park. United went through a roller-coaster couple of years wearing this, the last of the TFG kits. After several poor results and performances to match, Ian McCall's tenure came to an end after just two years in March 2005, with his Assistant Gordon Chisholm moving into the Managers Office after keeping United in the SPL, and leading the team to the Scottish Cup Final after memorable wins over Aberdeen at Tannadice and Hibs at Hampden during his time as Caretaker Manager. However, the following season was a disaster, with Chisholm being replaced by Club legend Craig Brewster in January 2006. 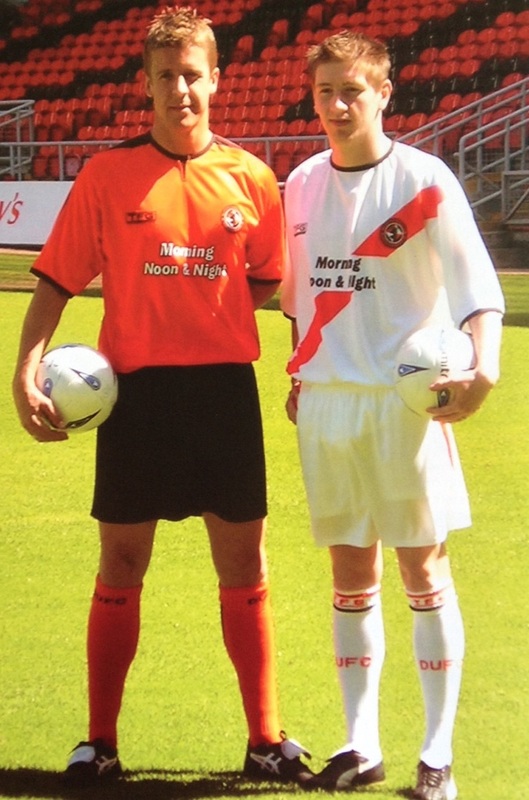 This kits last appearance was also against Dunfermline, this time a 0-1 defeat at Tannadice in the penultimate match of the 2005/06 campaign.